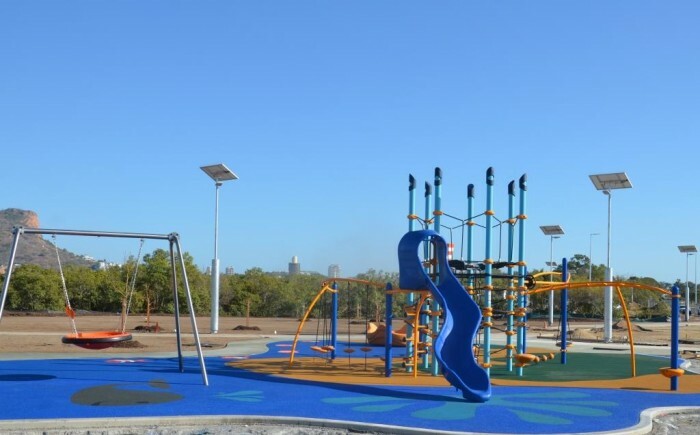 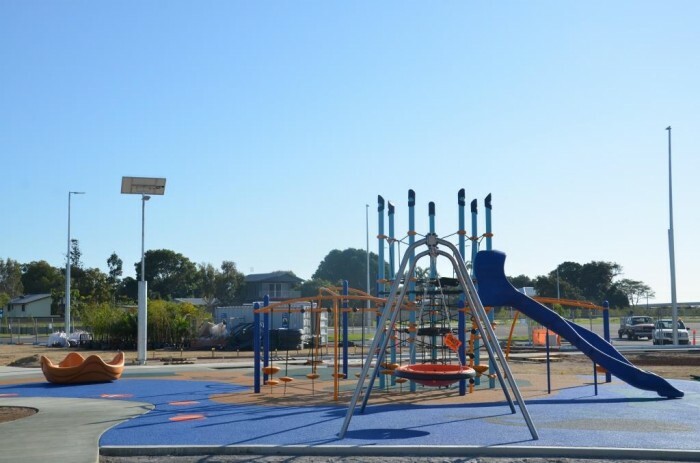 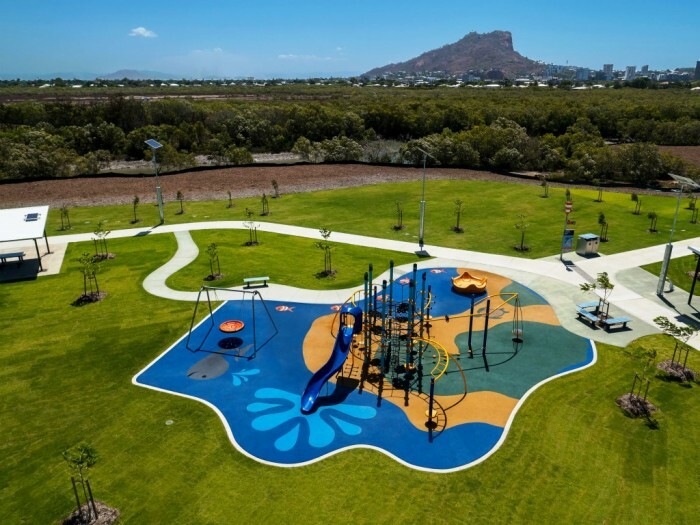 As part of the $25million Townsville Recreational Boating Park initiative, Advantage Sports & Leisure was contracted to design and construct a destination playground that would offer recreational fun for people of all ages and abilities. 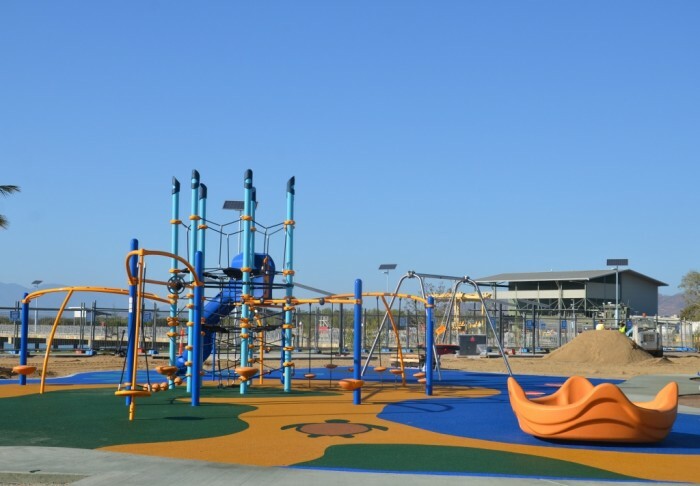 The finished playground features a NetPlex centrepiece, with its central Skyport Climber sending children to the top of this dynamic structure. 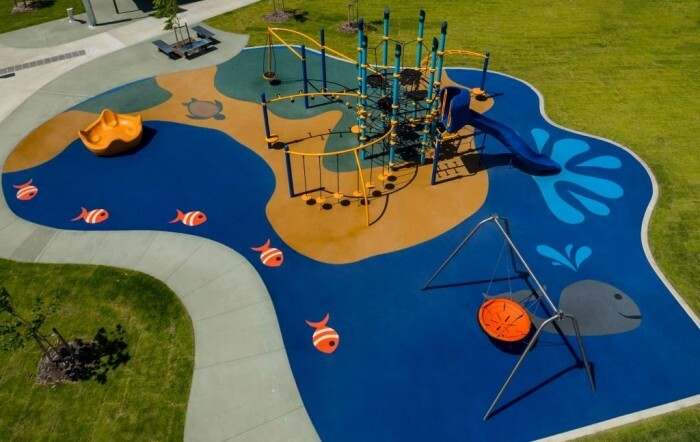 The Rushwinder Slide offers a speedy exit, or climb through, around or over the connecting nets to additional activities like the Lolli Ladder, Swiggle Stix, Tightrope Bridge and Sol Spinner. 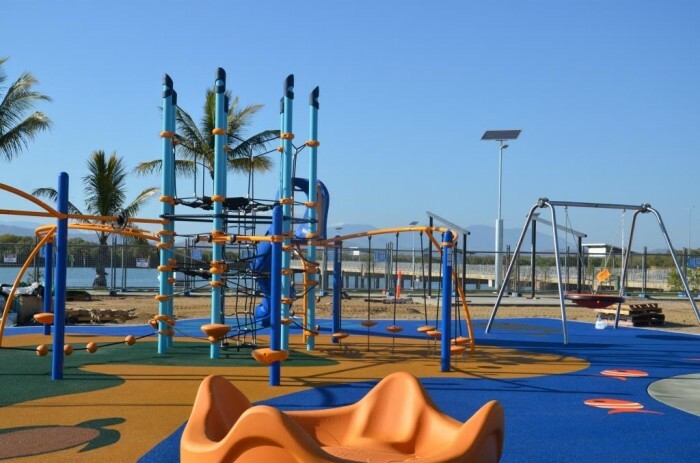 Overall a circuit of big time fun providing climbing challenge, and stimulating essential physical, social and mental development. 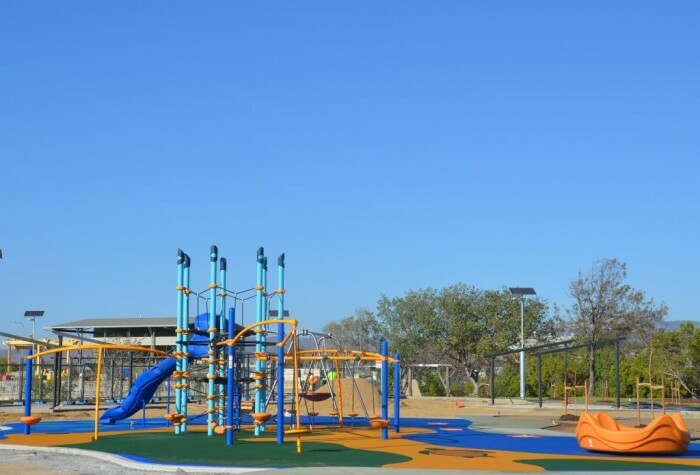 A multi user Team Swing and OmniSpin Spinner provide inclusive all abilities play opportunities for all ages with the OmniSpin set at wheelchair transfer height and with supportive seating for those with limited upper body strength – offering something for everyone in the playspace. 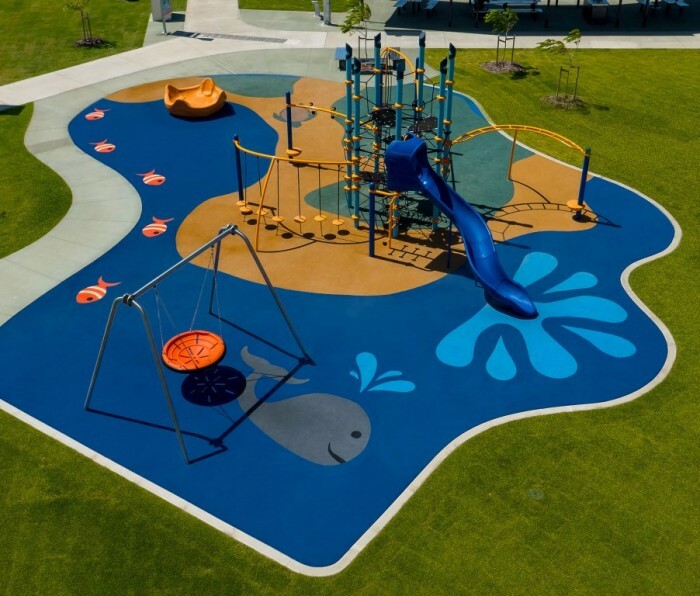 Softfall colours and shapes create the illusion of land, sand and sea, featuring fish, whale and turtle designs – blending into the surrounding boat ramp theme and complementing the space perfectly.